The St. Louis ASL Club’s first Historical Magazine is out! 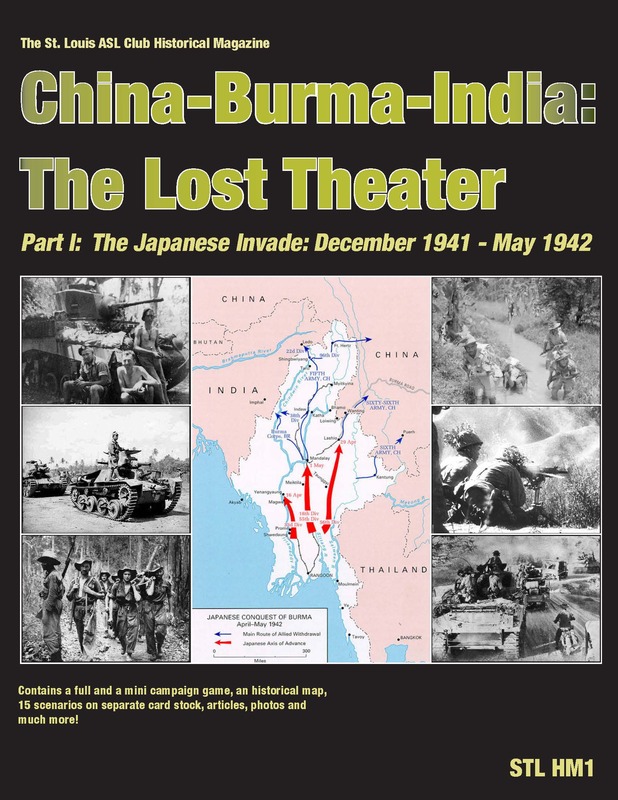 The first issue is on Burma, 1942, when the Japanese invade. See the flyer below. Our full color magazine contains 60 pages of articles on various subjects, ranging from an intro to the CBI theater of 1942, Japanese tanks and tank tactics, airpower, AAR’s/designer notes on the scenarios, and much more stuff. Included is 12 STL geo-board scenarios, 3 scenarios to play on the 22×28 historic map, and a mini-campaign game of 3 linked scenarios, also played on the historical map.